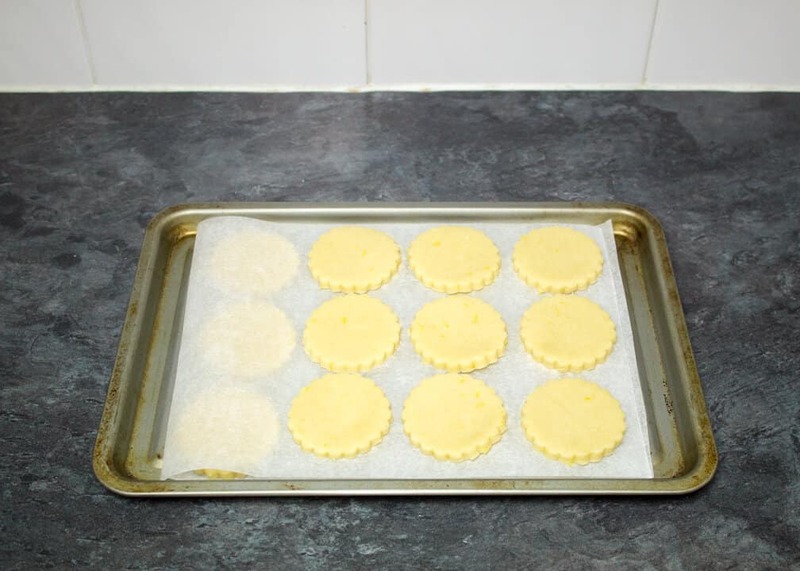 These super easy Lemon Cookies require just 4 ingredients and minimal effort to make. Sounds to good to be true? Well it isn’t! 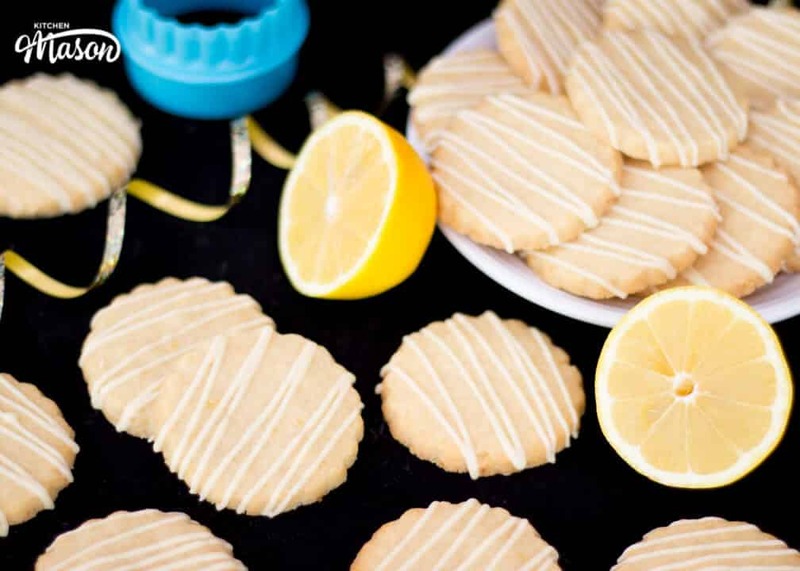 Packed with beautiful buttery lemon goodness, these are guaranteed to be a hit at any occasion. 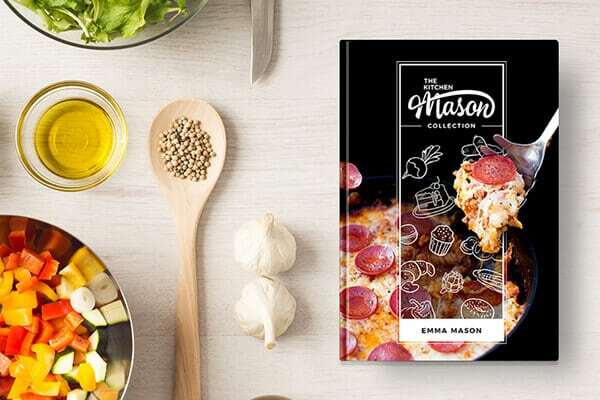 No one will believe how easy they are to make, so just milk it. I won’t tell if you won’t! Here is what you will need to make 20-22 cookies. 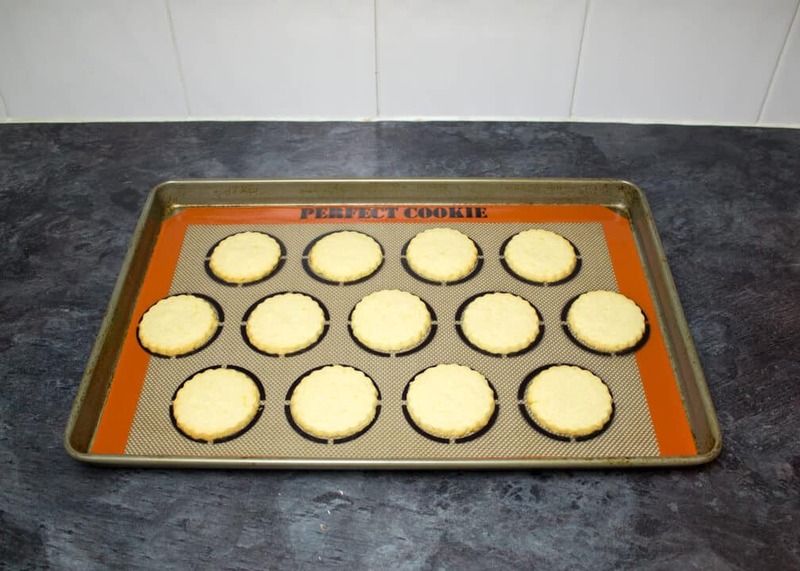 Preheat your oven to 180°C/170°C and line a large baking sheet with a silicone baking mat or baking paper. Then add in the zest of 1 lemon & 1 tbsp of lemon juice and mix again briefly. 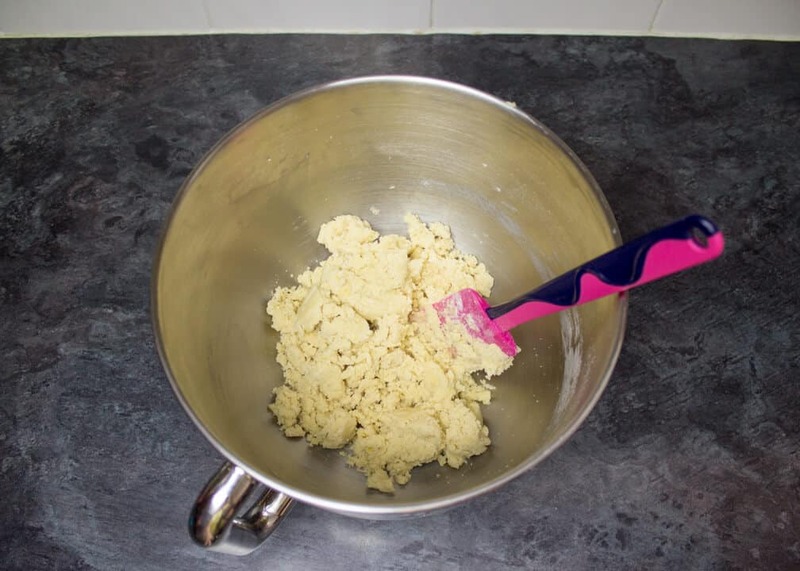 Next, add the flour into the bowl and, using a spatula, beat until it comes together to form a dough. 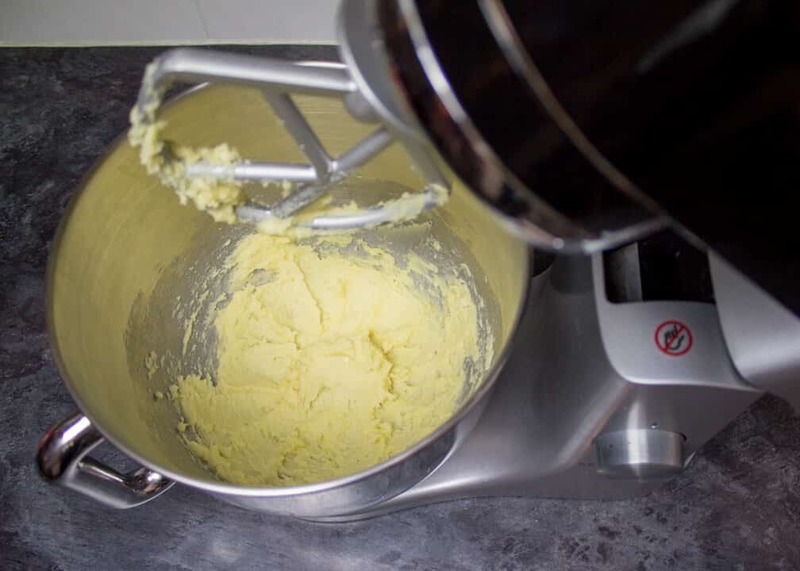 Tip the dough out onto your work surface and bring together to form a ball. 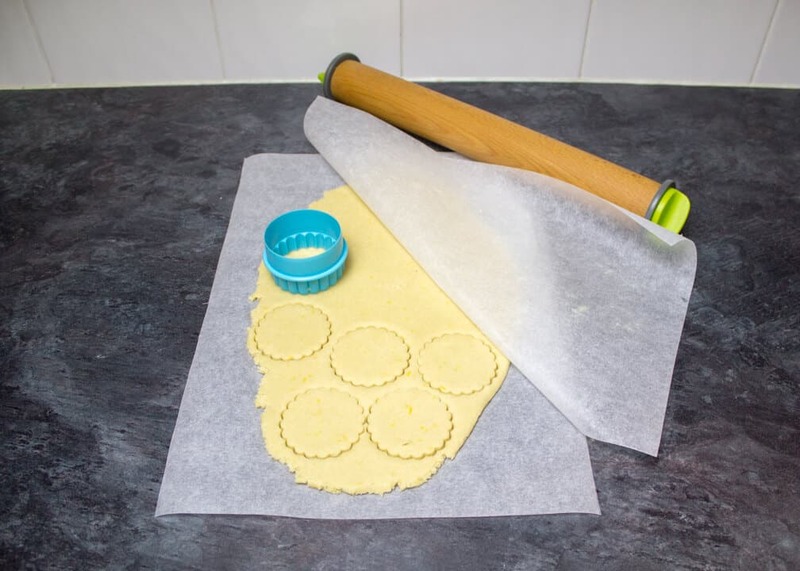 Then between two sheets of baking paper (I find this way far easier and less messy) and roll out to 6mm/1/4″ thick. Using your cutter, cut out as many circles as you can. Reroll any leftovers to the same thickness and cut out more circles. Repeat until there is no more dough left. 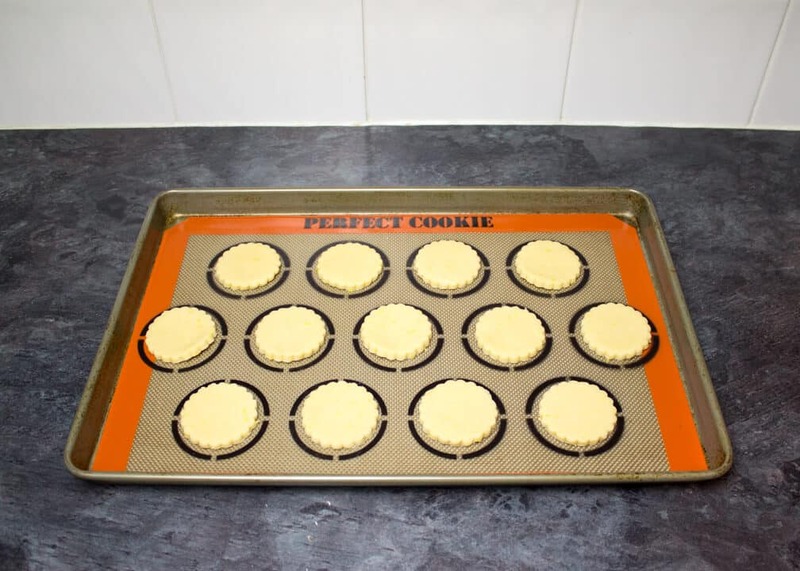 Place as many cookies as you can onto your prepared baking sheet without overcrowding & allowing for spreading between each one. Bake in the oven for 10-12 minutes until the edges are just golden. 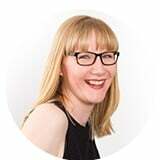 Allow to sit on the tray for a couple of minutes before transferring to a wire rack to cool completely. Repeat until all the cookies are baked. The cookies will taste amazing as they are, but if you want to go the extra mile and decorate them, here’s how. 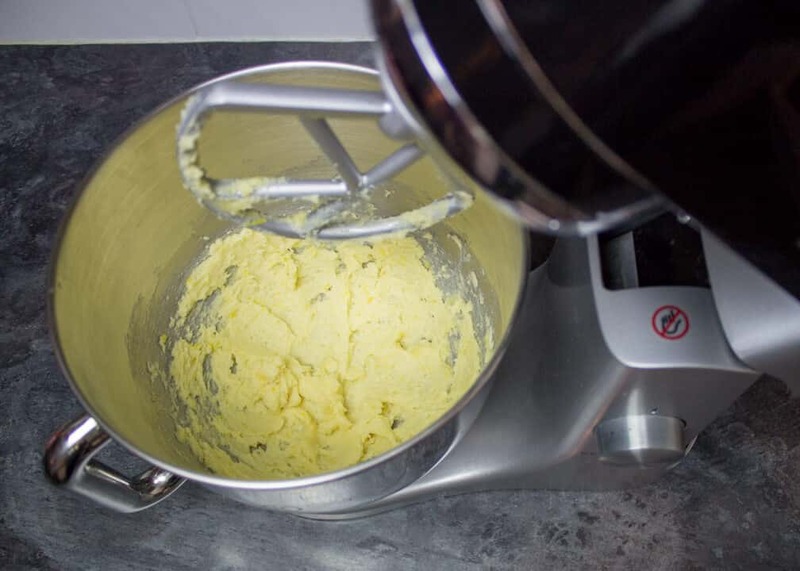 Break the white chocolate into a small bowl and melt in the microwave on half power in 10 second intervals. Stir well between each time until it’s melted and smooth. Pour the melted chocolate into a disposable piping bag and snip the end. 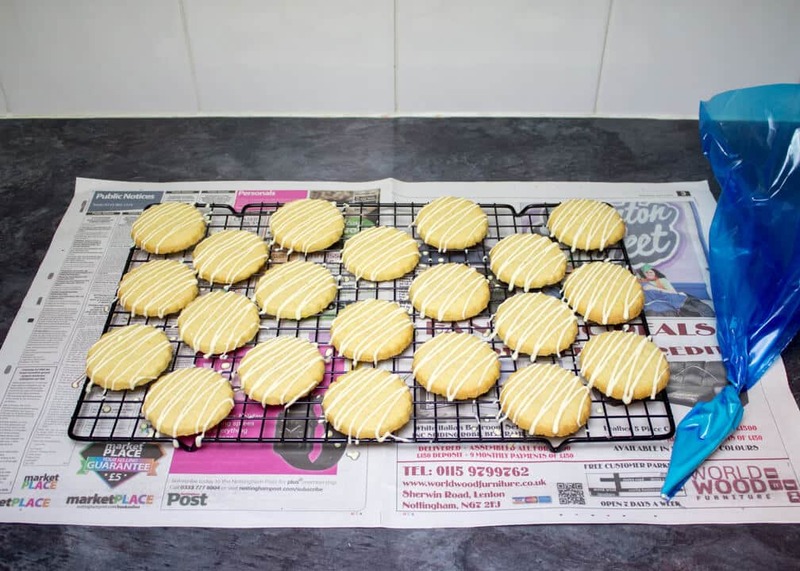 Pipe zig zags across all the cookies and allow to set at room temperature. 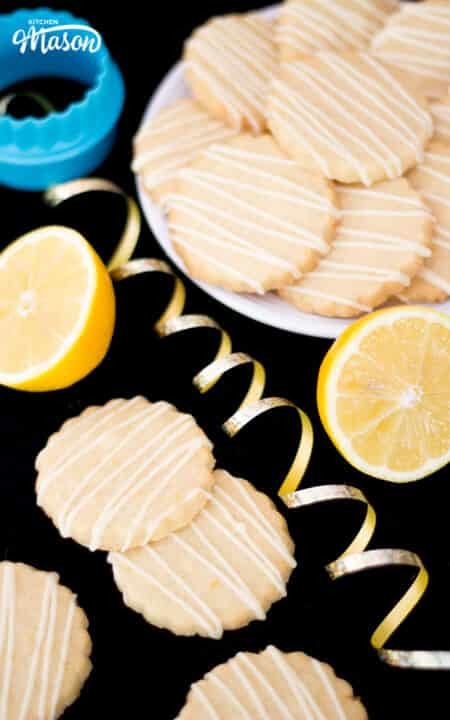 Store these beautiful Lemon Cookies in an airtight container (I prefer metal as they keep their crunch better) at room temperature and consume within 5-7 days. It can’t get any easier than that can it?! I absolutely love lemon in all types of baking. These wonderful little delights are no exception. They’re absolutely delicious and as you can see, really easy to make! Seriously, what are you waiting for? I hope you enjoyed the post my lovelies, until next time.